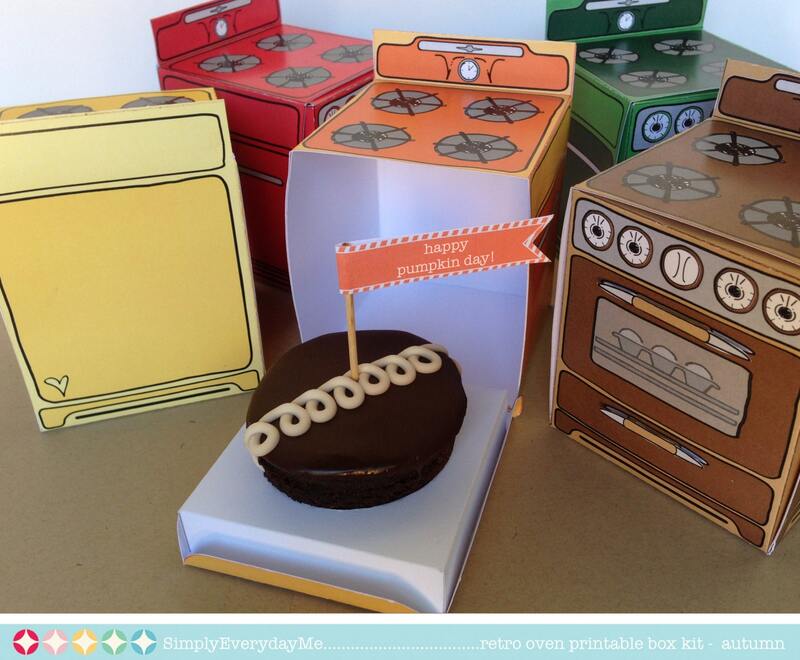 (¸.·´This Retro Oven Printable Box Kit will bring a smile to any gift or event. 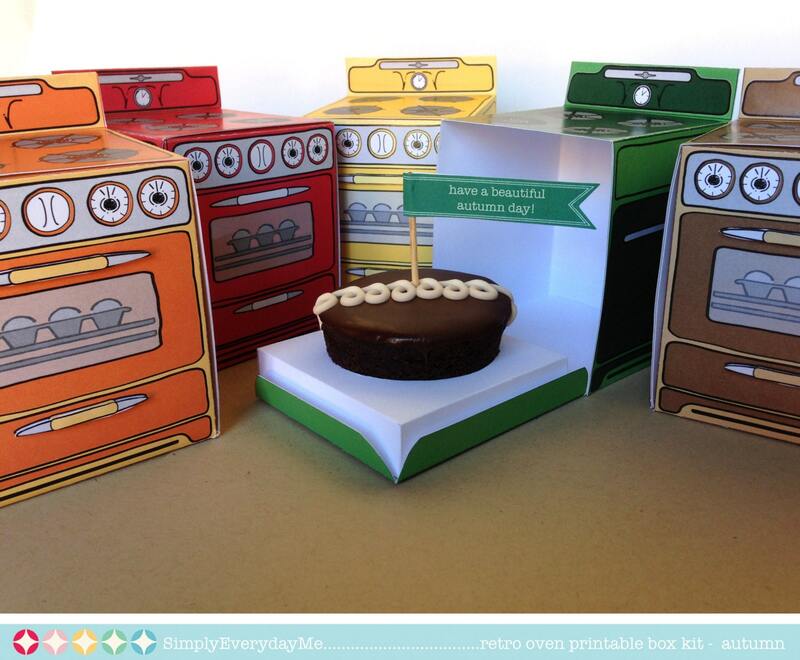 These SIX delightfully illustrated ovens come in brilliant retro colors! 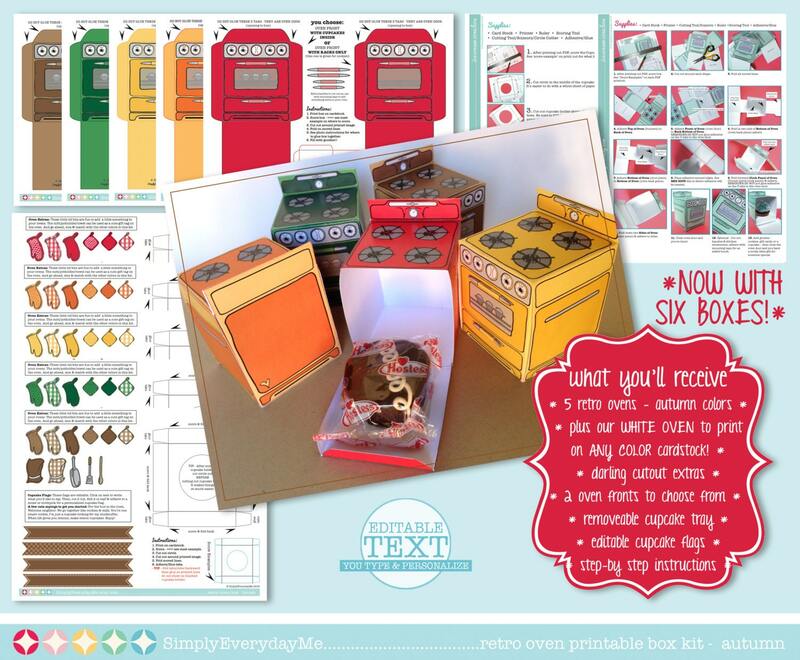 The kit includes: 6 ovens ★ BONUS cutouts ★ removable cupcake trays & EDITABLE cupcake/straw flags! 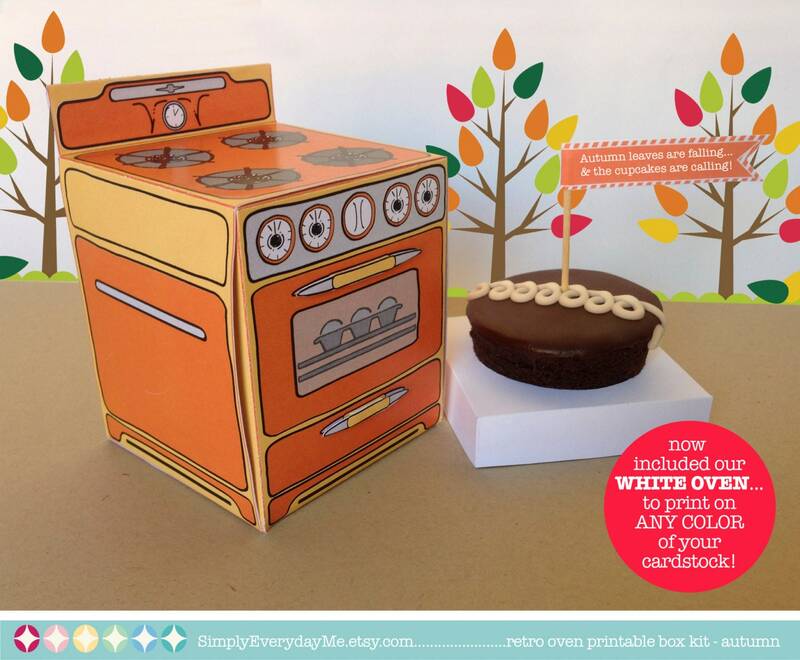 Plus, make a your own unique oven, and print the white oven template on a favorite colored cardstock! ★ Full color Step-by-Step Instructions, plus Information for materials need & paper suggestions. When assembled box measures - 3"w x 3.5"h x 3"d.
NOTE: Each printable page fits within an 8.5”x11” letter or A4 paper. 110lb cardstock is recommended. With this kit you may print as many as you need. For best results, use the free Adobe Reader, especially with editable PDFs. 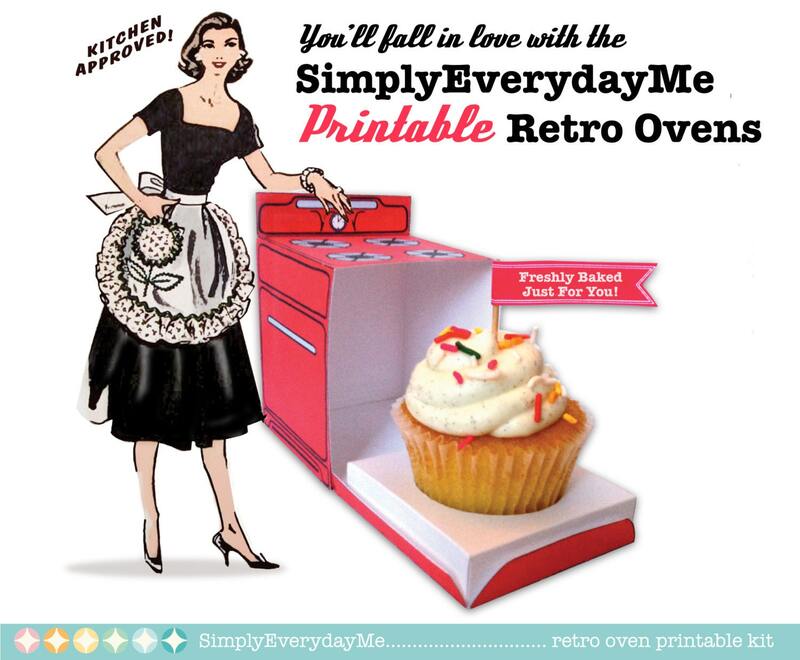 This Retro Oven is outstanding for a ‘Bun in the Oven’... ‘I love you’... ‘Hello Neighbor’... or an… ‘I miss you’... treat! Because nothing brings joy like a sweet little box filled with love for your shower, birthday, special occasion or just because moments. SimplyEverydayMe delivers instantly! Say ‘hello’ to INSTANT DOWNLOAD and ‘bye-bye’ to shipping. Please visit the shop policies, https://goo.gl/jtHDlq (on the tab above) for FAQ’s, information on digital downloads, and shop printable policies.